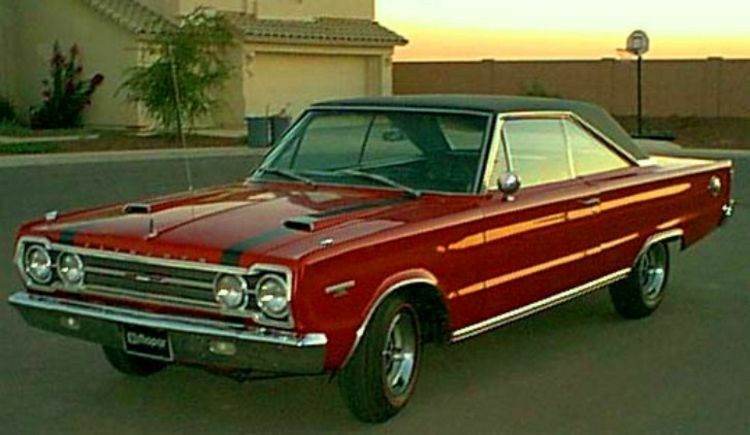 Additional Info: The Plymouth Belvedere GTX offered real performance upgrades for Plymouth’s customers, it added exterior enhancements, uprated suspension, a 3 speed auto or 4 speed manual, various rear axle ratios and big block power. 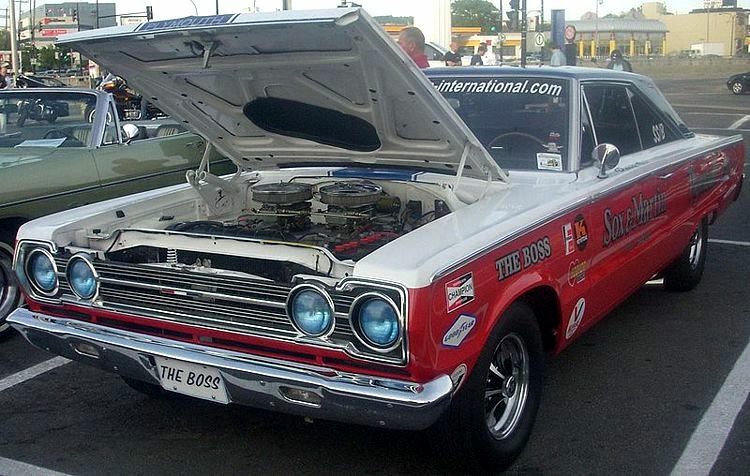 Top models were the “Super Commando 440” with 375bhp and the Hemi 426 with 425bhp (0-60 in 4.8. 1/4 mile in 13.5). A special Hemi model was also available to those in the know (RO23) that was stripped and modified for even more performance (only 55 built). 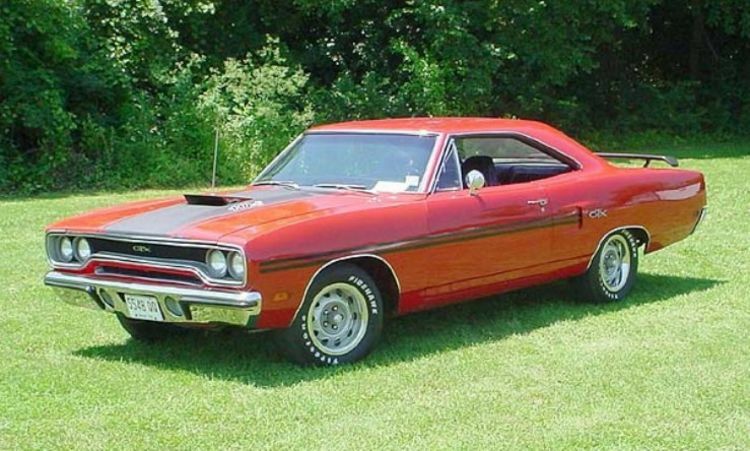 Additional Info: The 1968-1970 GTX was redesigned with smoother lines. 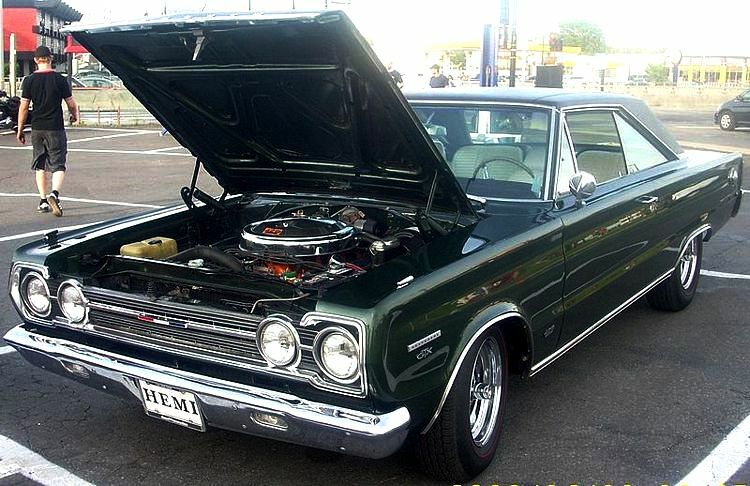 In 1968 the standard engine was the 440, while the Hemi was still available with 425bhp (above). 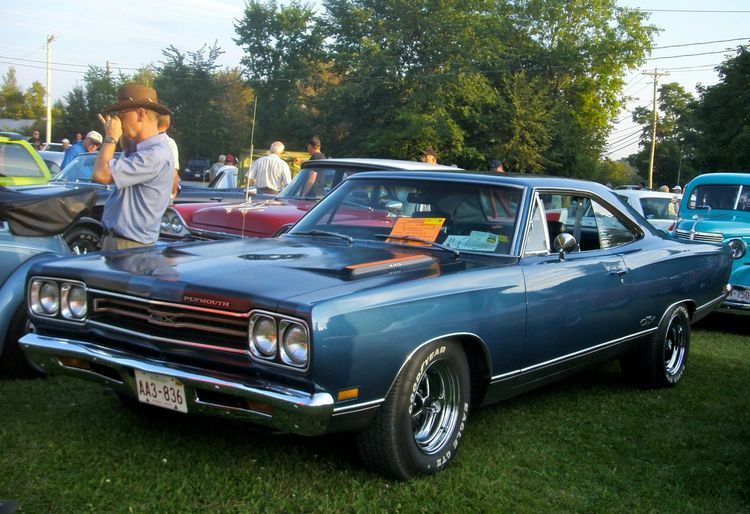 In 1969 small exterior changes were made and a hurst shifter was made available, also a 440 with 3 x 2 barrel carbs rated at 390bhp was added to the line up (a road test showed a 0-60 of 5.8 and 1/4 mile of 13.7). In 1970 the lines were made even more smoother, engine choices were as 1969. 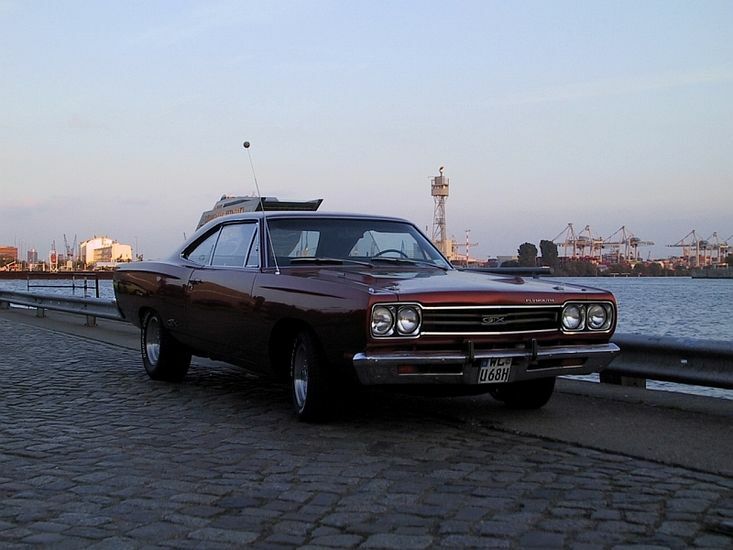 Additional Info: In 1971 the GTX was given a new design again. 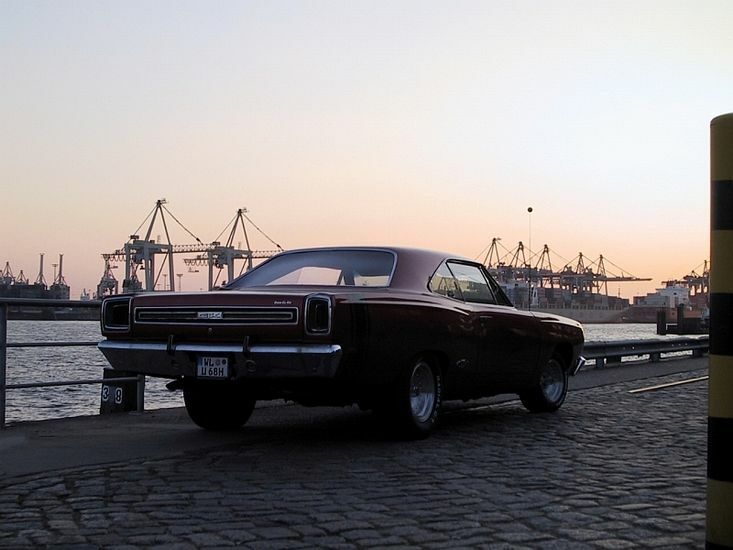 The 440 (370bhp) was still the standard engine choice, while other options were the 440 +6 (3×2 barrel) now rated at 385bhp and the 426 Hemi still at 425bhp. 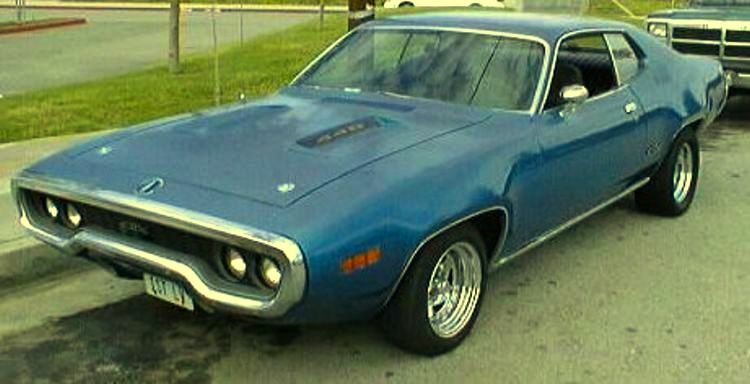 We believe in 1972 to 1974 the GTX was made an options package with the Road Runner.